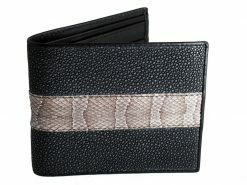 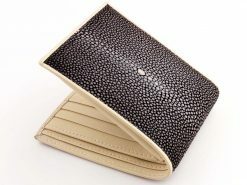 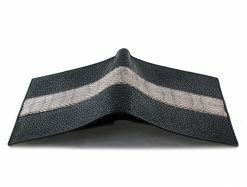 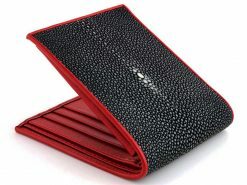 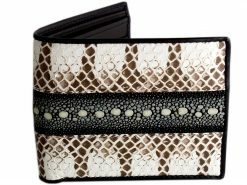 A mesmerizing sanded stingray wallet in a mauve with contrasting cream calfskin interior. 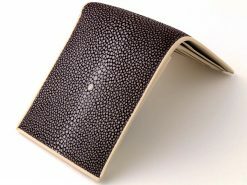 When stingray leather is first tanned the skin is covered in what feel like tiny rounded stones. 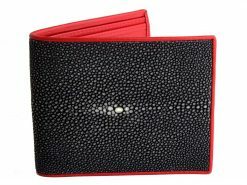 The skin can be sanded back as in the case of this cool wallet to get a smooth finish which highlights the larger center stones. 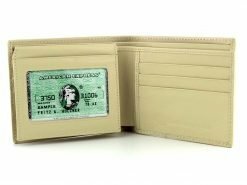 This unisex wallet is highly desired. 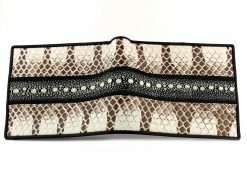 They amaze the senses of both sight and touch and draw admiration from all who see it.